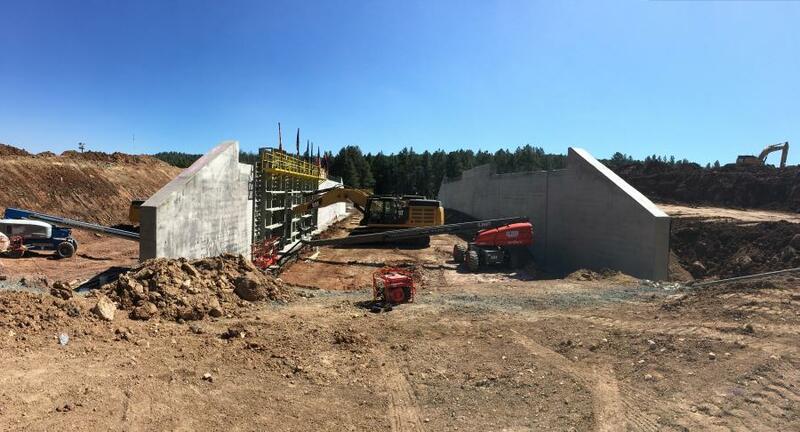 The Arizona Department of Transportation's original plan for improving the Interstate 17 bridges at Willard Springs Road south of Flagstaff called for replacing the decks in both directions over two summers, ending well into 2019. The project that's under way, however, is replacing the bridges in their entirety by the end of November — at no additional cost. The difference is due to a process called value engineering. Once a project has been awarded, ADOT and contractors can use value engineering to systematically analyze the plans and identify ways to deliver improvements safely, reliably and efficiently for the lowest overall cost possible, looking for ways to improve quality and value while reducing time needed to complete the work. For ADOT to approve a contractor's value engineering proposal, the change must either reduce cost or delivery time or both while adding value. 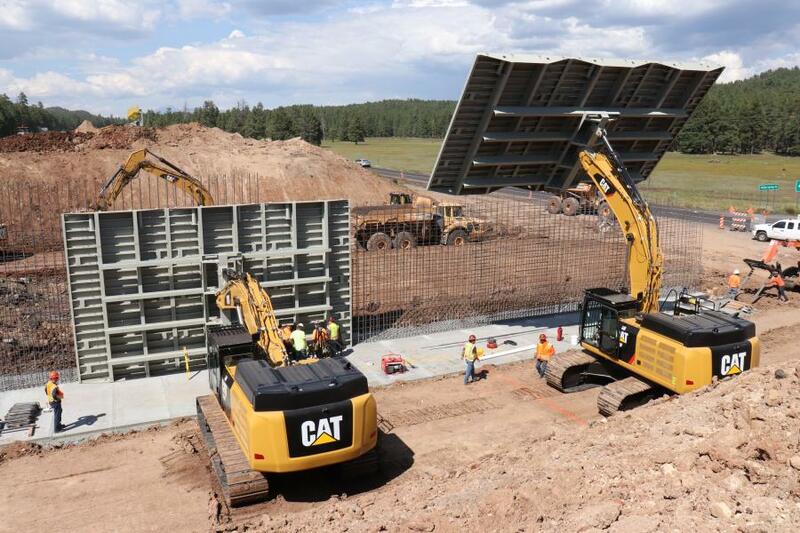 As an alternative to removing and replacing just the bridge decks at I-17 and Willard Springs Road, the contractor, Fisher Industries, proposed creating new bridge abutments as well by using giant steel plates attached to construction vehicles as molds around rebar cages. Once the concrete sets, the steel plates can be moved quickly, allowing crews to pour concrete for another part of the abutment. Building abutments normally takes weeks. With this technique, being used for the first time on an ADOT project, it took only days for crews to create abutments for the I-17 bridges at Willard Springs Road. "Once the abutments are built, the bridge work is the same that we've always done," said Steve Monroe, senior resident engineer of ADOT's North Central District. "It's nice to have the contractor get in, get the job done in a much more efficient way and get out." The new bridges are expected to be ready prior to the long Thanksgiving weekend. For now, drivers are moving by the work zone along I-17 using two lanes. Willard Springs Road is closed under I-17 while work is occurring, but drivers who need to access Willard Springs can still do so using the southbound lanes of I-17. In addition to improving delivery time and value, having both bridges done in one season rather than two reduces the length of time drivers must deal with restrictions at Willard Springs Road. The bridge improvements are part of a larger project to improve northbound I-17 from milepost 312 north to the Flagstaff area. Several miles of the interstate have been repaved along with new guardrail. Both the right and left lanes from milepost 312 to 315 have been completely rebuilt and are already being used by traffic. In the final weeks before the weather turns too cold for paving, crews will focus on completing paving of both lanes between mileposts 312 and 316 and the right lane up to milepost 331 at Kelly Canyon Road. After a winter hiatus, crews will return when the weather warms to finish the project. For more information, visit azdot.gov/I17Paving.